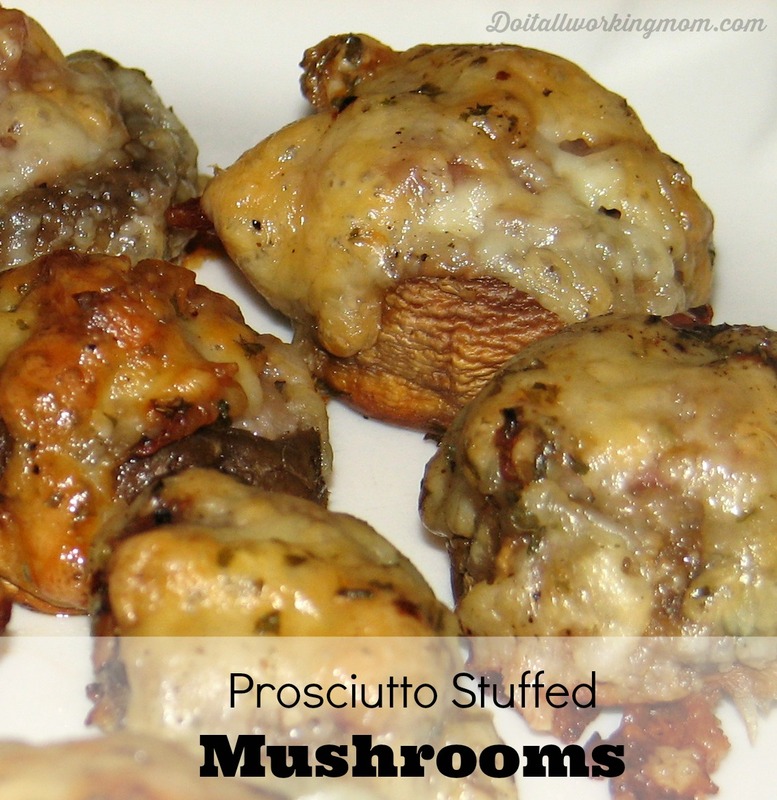 Prosciutto Stuffed Mushrooms are really easy to make, and so tasty. Try them the next time you entertain, your guests will love them. One thing is for sure, there will be no left over, so make sure you prepare enough! They’re also the perfect appetizers for the Holidays or a cocktail party. 1- With a paper towel, wipe the mushrooms to remove any dirt. 2- Remove stems and discard. 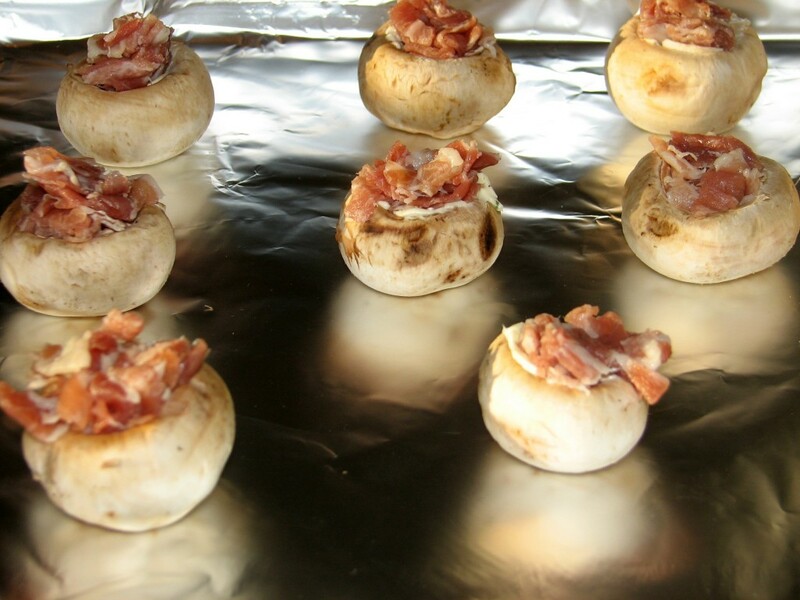 3- Place the mushrooms on a baking sheet lined with parchment or aluminium paper. 4- Add 1/4 teaspoon of garlic butter in the stem hole of each mushroom. 5- Add a small amount of prosciutto on top of the garlic butter. 6- Top each mushroom with mozzarella cheese. 7- Bake in a preheated oven at 350 F for 15 minutes. 8- Let the mushrooms cool down for 5 minutes before serving. With a paper towel, wipe the mushrooms to remove any dirt. 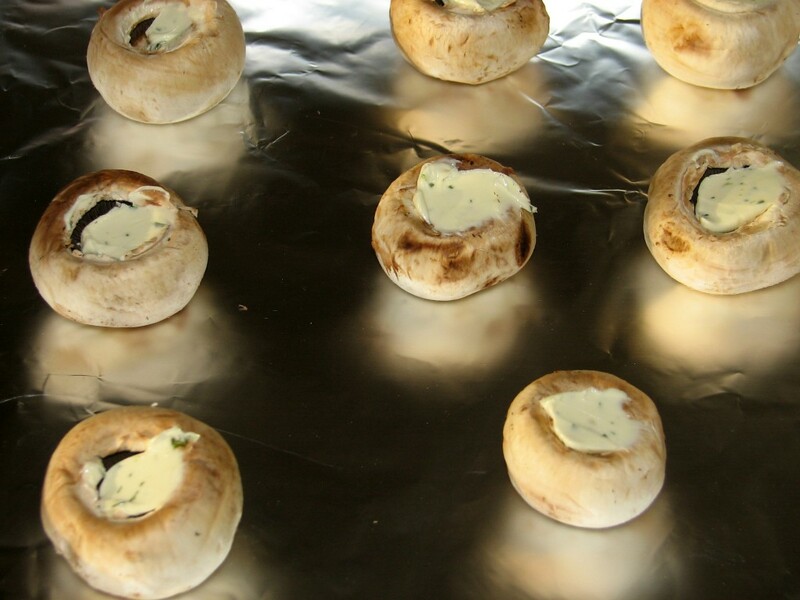 Place the mushrooms on a baking sheet lined with parchment or aluminium paper. Add 1/4 teaspoon of garlic butter in the stem hole of each mushroom. Add a small amount of prosciutto on top of the garlic butter. Top each mushroom with mozzarella cheese. Bake in a preheated oven at 350 F for 15 minutes. Let the mushrooms cool down for 5 minutes before serving. These look awesome!!! I’m thinking a great school vaca treat / app. Yum! Thanks Jessica, they are really yummy!